FeralFishScan is a new community website for collecting evidence of feral fish. Feral fish (also called 'pest fish') cause enormous damage to our rivers and native fish populations. 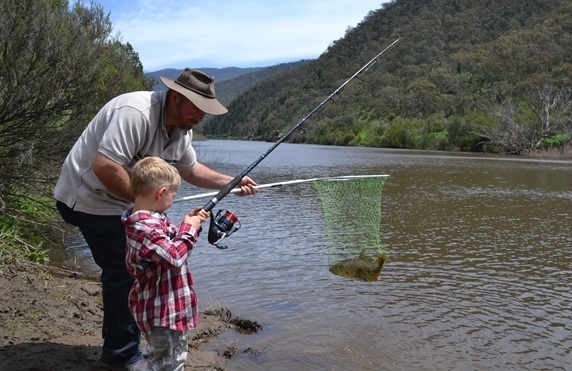 If you have seen or caught feral fish in your local area, record the details here to help identify feral fish hot-spots across our catchment. How to identify feral fish species! Do you know which fish species you've seen? There are 5 major feral fish species you can map in FeralFishScan at present. They are common carp, redfin perch, eastern gambusia, oriental weatherloach, and goldfish. There are also some native species that can be easily mistaken for feral fish. To find out how to identify feral fish, click here. Record feral fish - Click here to start mapping now! If you have seen feral fish in your local area, record this information in the FeralFishScan Google Map. Your data will help to identify where feral fish are a major problem, and your data will help to identify options for feral fish control. There is always something happening to control feral fish! Learn about current programs to control feral fish and how you can help with those programs. How your data is helping with feral fish management? Your data is helping to control feral fish. 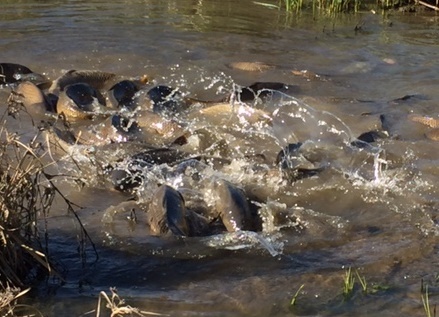 The mapping of carp spawning sites is particularly important for their control. Find out how your data is helping to map feral fish hotspots, identify breeding sites, and control feral fish in our catchment.